Obituary for Mary Cecilia Walz | Schaffer Funeral Home, Inc.
Mary Cecilia Walz, 75, of Defiance, passed away on February 2, 2019 at CHP Defiance Area Inpatient Hospice Center. She was born on February 21, 1943 to Anthony and Mary Alice (Fender) Walz in Defiance. She graduated from Defiance College. She was an active member of St. Mary Catholic Church, where one of her favorite ministries was working with youth members of the YES project. 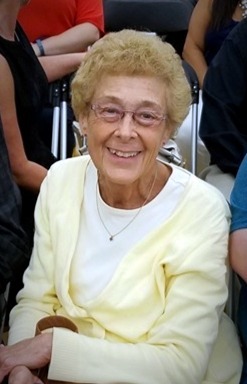 She taught at Patrick Henry High School from 1965-1966, and at Fairview High School from 1966-1968, and was a lab tech at Defiance Hospital from 1969 to 2018. Mary is survived by her loving son, Steven (Lindsey) Walz of Defiance, and daughters, Karen (Arthur) Adkins, Kristina (William) Bryant both of Defiance, and Amy (Nicholas) Krueger of Minneapolis, MN, 10 grandchildren, brother Thomas (Beth) Walz of Meridian, ID, and her special friend Jerry Curtice, Bryan. Visitation will be held at Schaffer Funeral Home in Defiance on Wednesday, February 6, 2019 from 3-8 pm. A Mass of Christian Burial will be held on Thursday, February 7, at 10:00 am at St. Mary Catholic Church with Fr. Randy Giesige, Fr. Timothy Kummerer, Fr. John Stites, and Fr. Anthony Coci officiating. Burial will follow the service at Riverside Cemetery. In lieu of flowers, memorials are suggested to the Masses at St. Mary Catholic Church, or to St. Vincent de Paul Society. Online condolences can be given at www.Schafferfh.com.